Rainbow Six Siege - Starter Edition upgrades to base game! The Starter Edition is no longer available and every owner got a free upgrade! See inside for more details. According to the official Rainbow Six website, Rainbow Six Starter Edition was removed from digital stores on February 12, and every owner of that edition was granted an automatic upgrade to base version of the game. 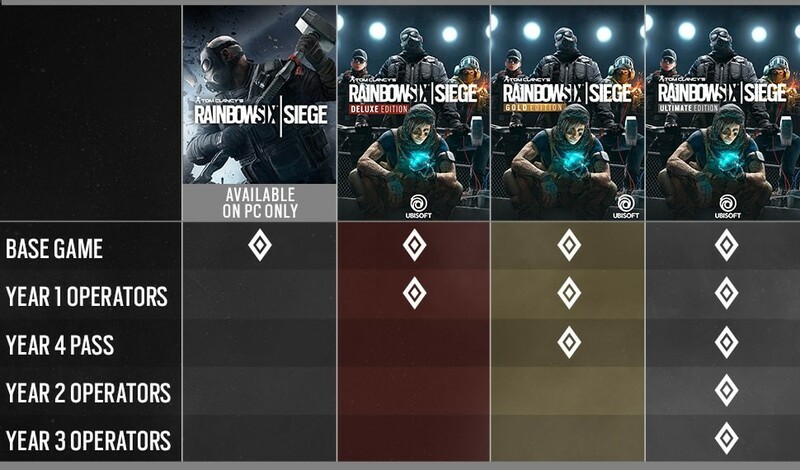 The new base version improves the former Starter Edition progression system, which converts unlocking Operators to the original base game rate – saving players up to 150 hours of gameplay to get the Operators of their choice. All progression and content previously unlocked will be carried over. Ubisoft has also decided to change the cost and availability of DLC operators per version of the game for both new and existing players.